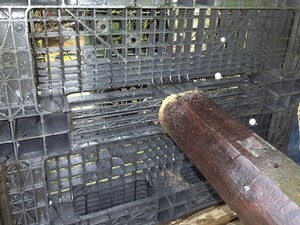 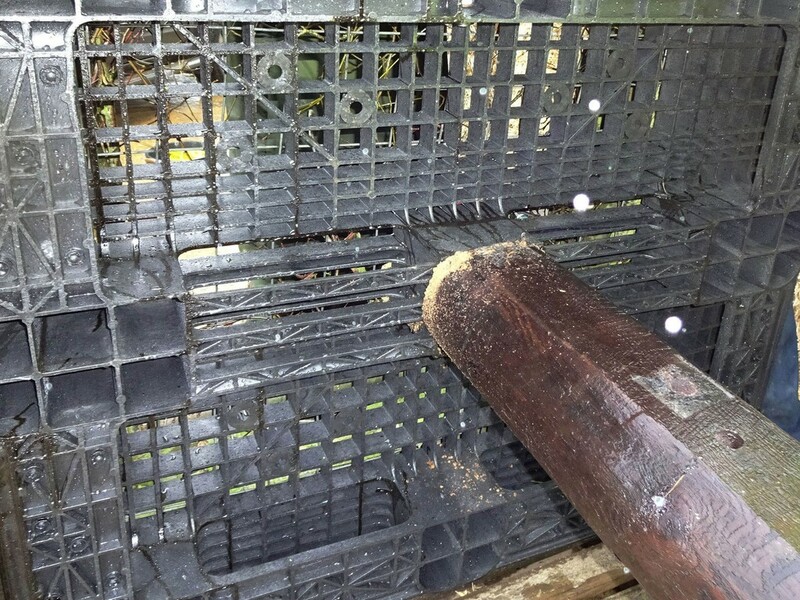 To make the platforms, the central webs were removed from the plastic pallets to make a socket for the pole. 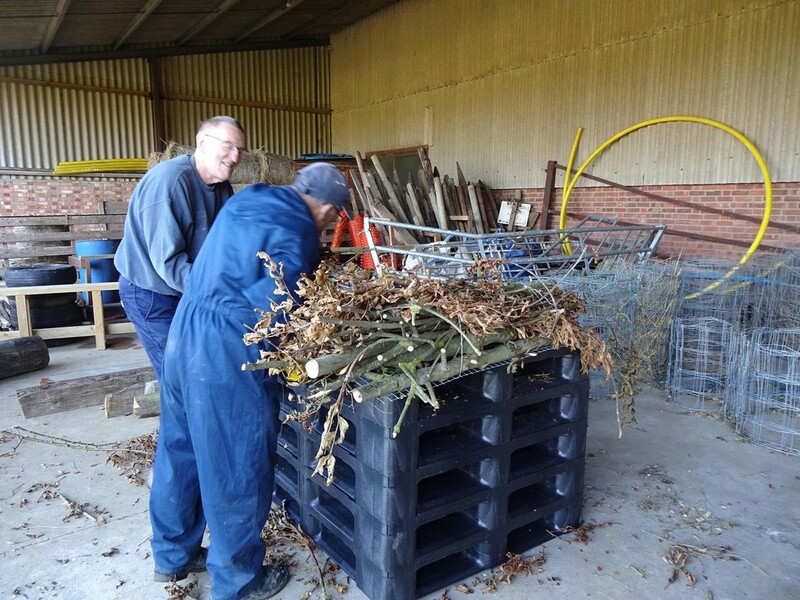 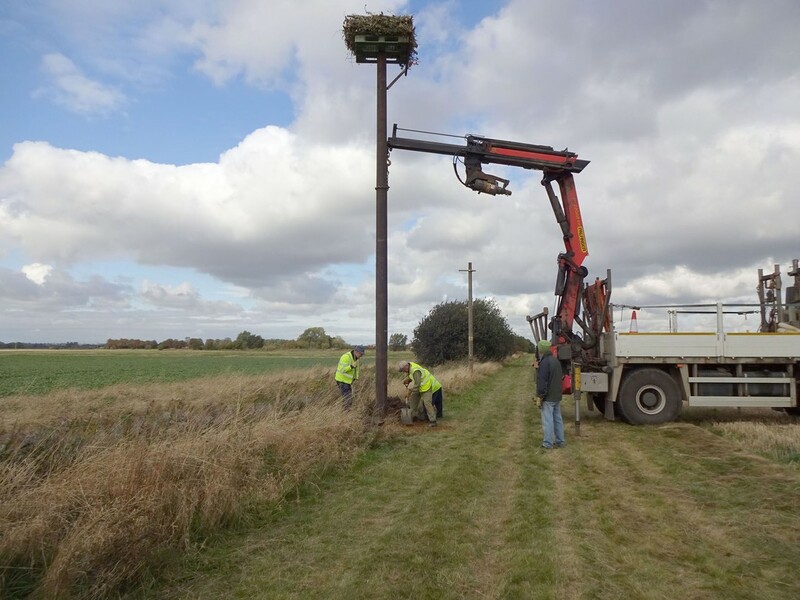 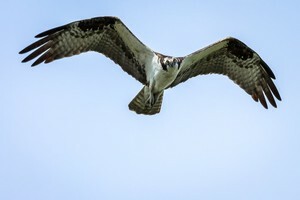 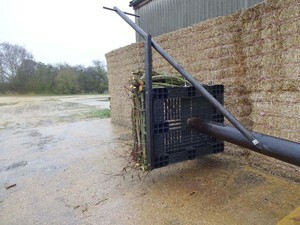 The nest was then built by fixing twigs to a weld-mesh base, which in turn was fixed to the pallet. After installation the nest was finished by adding moss, grasses and other nest material.